MARKING A trend that appears to be gaining strength, India’s used-car market saw the sale of 40 lakh vehicles in 2018 to overtake the volumes for new cars at 36 lakh in the same year, industry figures show. In value terms, the used-car market clocked almost two-thirds the business recorded for new cars last year — Rs 1.4 lakh crore for used cars versus Rs 2.2 lakh crore for new. The drivers for this resurgence in used-car numbers include an expansion of the organised segment of the industry, a high number of new car launches and a rebound in fuel prices. According to analysts, the ratio of used-car to new-car sales, currently just over 1 in India, is likely to move closer to the ratio of over 2-3 that is seen in major economies such as Germany, the UK and Brazil. A key differentiator between the two markets is that the fastest growing segment in the used-car market is the entry segment, with Maruti Alto, WagonR, the old Swift and the Hyundai i10 accounting for nearly 60 per cent of volumes. In contrast, the fastest growing segment in new cars is no longer the entry-level hatchback segment, which has been overshadowed by entry-level sedans, such as Maruti Suzuki Swift Dzire, and mid-level hatchbacks, such as Suzuki Swift and Hyundai Grand i10. There are three main reasons for the pick-up in the used car market, say analysts. One, the exceptionally high number of new car launches — 31 — or facelift of old models during the 12 months to December 2018. As a result, the number of used cars less than two years old, with under 20,000 km clocked on the odometer, has seen a surge. Two, the organised segment of the used-car market has been expanding. Major players such as Maruti Suzuki, Toyota, Hyundai and Mahindra & Mahindra, which have dedicated arms for used cars, have been joined by Carnation, CarDekho, Quikr Cars and auto manufacturers such as Nissan and Renault. Most of these players now have tie-ups with financiers that give loans for used cars. Dealers typically have higher upsides on margins for used cars as compared to the largely fixed margins on new vehicles. The unorganised segment, which comprises a bigger chunk of the market, has also been growing, even though it has been losing share to the organised segment. Third, the rebound in fuel prices has helped turn used cars into a more compelling value proposition, an analyst said. The trend of an increase in used-car sales is also indicative of the co-relation between growth in a country’s economy and its used-car business. A research report by Bengaluru-based RedSeer Consulting noted that currently, the ratio of used car to new car sold in India is close to 1, while in other major economies it is between 2-3. “…consumer preference towards dual car ownership, shorter replacement cycle and segment upgrade across income cohorts adds to the pie. Benchmarks with other developed and developing markets reinforce the co-relation between country’s economic growth and used car business, with India expected to mirror metrics comparable to developed markets of the west in ten years,” RedSeer said. The growth in the used-car market comes at a time when there are indications of a subdued outlook for new vehicles. The country’s largest car maker Maruti Suzuki India said Monday that it cut production by over 8 per cent in February on account of subdued demand. The company produced a total of 1,48,959 units across its factories last month, down 8.3 per cent from 1,62,524 units produced in the year-ago period, it said in a regulatory filing. The production of passenger vehicles — Maruti’s mainstay — including Alto, Swift, Dzire and Vitara Brezza, declined by 8.4 per cent to 1,47,550 units as compared with 1,61,116 units in February 2018. The second-hand market is predicted to grow sharply. While it took India around seven years to increase annual production to four million vehicles from three million, the next milestone — five million — is expected in less than five years. Hyderabad-based consultancy Mordor Intelligence pegged the market for used cars to touch a market size of $75 billion (around Rs 5.25 lakh crore) by 2023, a CAGR of over 15 per cent over a five-year period. 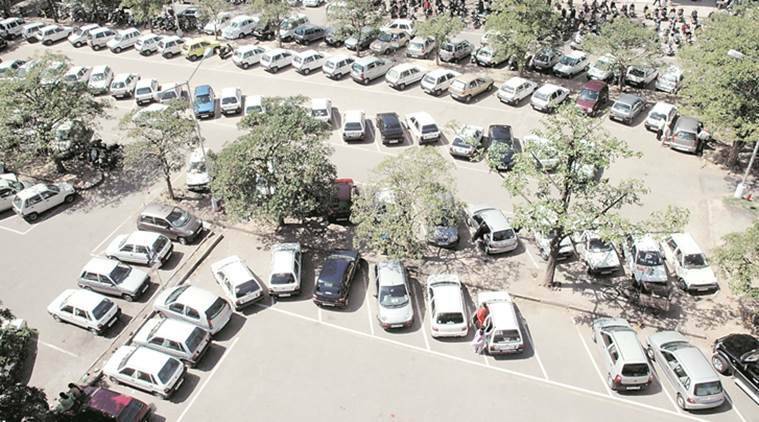 According to consulting firm Mckinsey, India is expected to emerge as the world’s third-largest passenger-vehicle market by 2021, aided by the projected annual GDP growth rate of 7 per cent through 2020, ongoing urbanisation, a burgeoning consuming class, and supportive regulations and policies.